The Rite of Peace is described in the Missal as an action that symbolises “peace, communion and charity” (Roman Missal, Order of Mass, no. 128). The Sign of Peace leads us into the breaking of the bread and reception of Holy Communion. Previously, however, suggestions had been made that it could be better celebrated elsewhere during the Mass. One suggestion that is made sometimes is to move the Sign of Peace after the Prayer of the Faithful, before the gifts of bread and wine are brought forward. Like the placement of this rite in the Introductory Rites of Mass, the focus shifts to that of reconciliation. While this could be one way of understanding the rite, the focus of the rite as we celebrate it is somewhat different. When we look at the words the priest says within the rite, they are not about forgiveness and repentance, even if we ask God to “look not on our sins” (Roman Missal, Order of Mass, no. 126). As an action that symbolises “peace, communion and charity” (Roman Missal, Order of Mass, no. 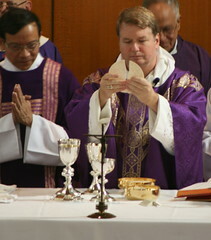 128), the Rite of Peace continues to remain in place as part of the Communion Rite. One suggestion that is made sometimes is to move the Sign of Peace to the Introductory Rites of the Mass. If this had happened, however, it would change the meaning of the ritual. The Introductory Rites are focused on gathering the assembly together and preparing us for the celebration of the Eucharist. Is the Rite of Peace, however, about welcoming? 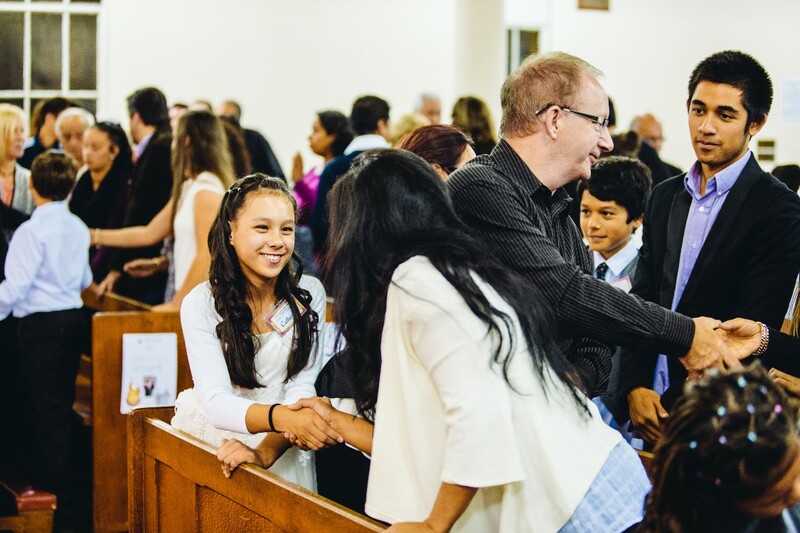 There is certainly a place for acts of welcome, but there are more appropriately fulfilled in the hospitality we provide as people arrive at the church, and in introductory comments that may be made before Mass begins. Furthermore, the priest’s greeting (such as “The Lord be with you”) is in itself an act of welcome. If the Rite of Peace was to be placed later in the Introductory Rites, then it would sit more closely with the Penitential Act. This may seem to make sense at first. Yet this then gives the Rite of Peace a character and tone that is related to penance and forgiveness, which again wasn’t originally anticipated. It would potentially draw out the penitential aspect of the Introductory Rites even further and may give the sense that this is the primary focus of the beginning of the Mass. You may have noticed last weekend that some of our common practices at Mass changed. Unlike last year, these changes are only temporary, and are not prompted by rewritten liturgical documents. Rather, they have been brought about by the current spread of H1N1 influenza (also known as swine flu). Given that there are reported cases in Western Sydney, and we all need to do what we can to minimise the risk of infection, Bishop Manning made several recommendations to minimise physical contact and the transfer of germs. As we would all agree, none of these measures are desirable, but are necessary until the risk of infection passes. Furthermore, we advise Communion Ministers to wash their hands with soap and warm water before and after communion. This can be done in the sacristy during the Lord’s Prayer and immediately after ministering communion. These measures will take some getting used to, and it will feel strange to go without blessing ourselves with holy water, shaking hands, or receiving communion from the chalice. We all hope and pray for the health of all, and that the risk of this influenza passes as quickly as possible.